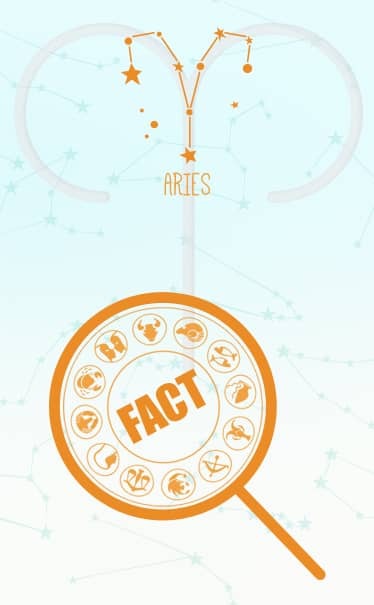 The Aries, in fact, have an emotional and passionate nature, owing to which they are liable to make strong reactions, but they hardly mean wrong. The loving nature of the Ram inspires and flatters others, but it is their impatience and impulsiveness, which also puts off other people. The Sun enters this first Sign of Zodiac, the Aries on or around March 21st each year. Aries, the first Sign of the Zodiac calendar, represents raw energy, unbridled passion and a ruthless haste. 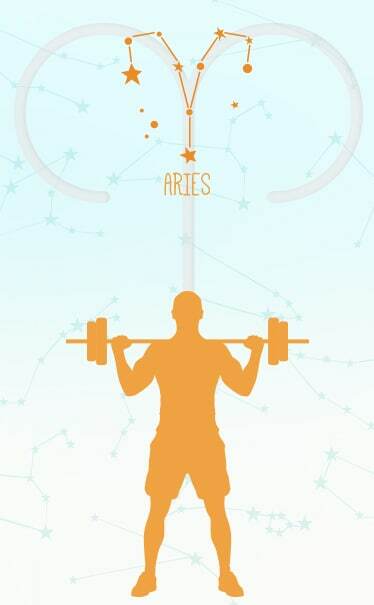 Aries are energetic and enthusiastic people; they like to set the ball rolling as soon as they come across an interesting opportunity, but they lack the discipline and commitment to take things to the finishing line. 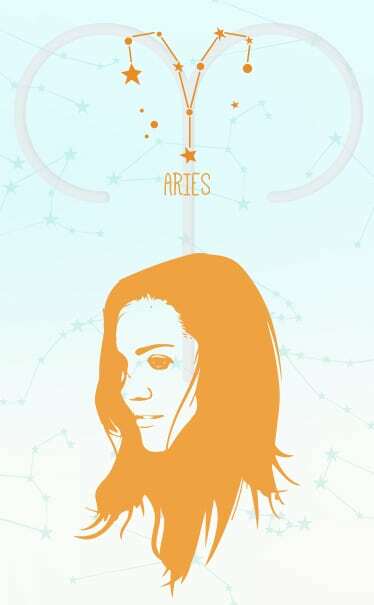 The Aries-born are quite action-oriented, and tend to act in a physical way to everything. Aries may also be impulsive and harsh, and it is almost impossible to convince them about anything. 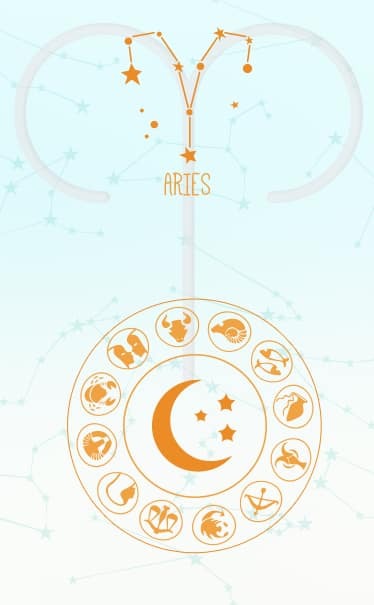 Wish to read all about Aries? 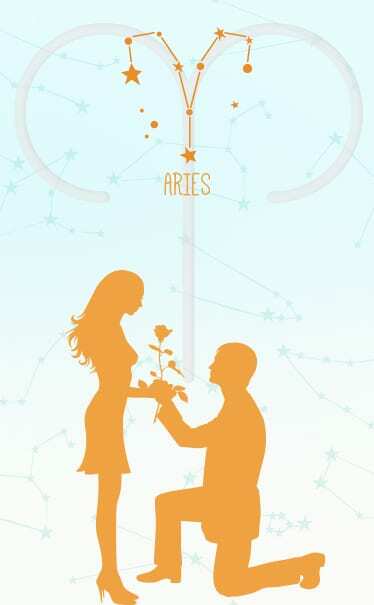 Know how they are in love with an article on Aries Romance. Or, how they are in their work and career with an article on Aries Career. Ruled by the planet Mars, the Aries men move through the world on the their own terms and pace, and that is a major reason why some people find it too challenging to keep up with them. However, if you learn to accept their peculiarities, getting along with them will be a lot easier. 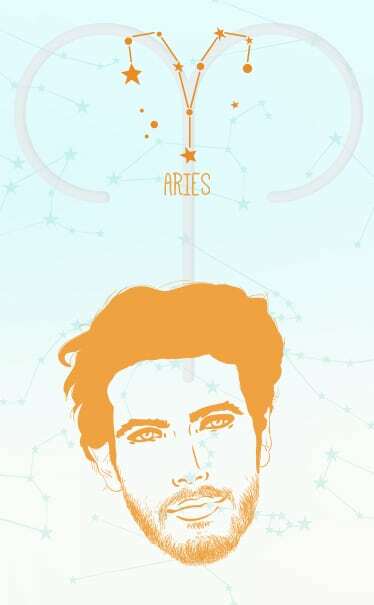 Let’s go through some basic characteristics of the Aries men one by one. This enthusiastic lot is always ready for adventure and excitement. Besides, they love surprises as they keep them engaged and mentally stimulated. Anything predictable and/ or straight from the text-book dampens their spirits. At first, they may come across as selfish and self-centred people. But there does exist a generous side of these highly active individuals, well, it is a different thing that they show it to only those who they think are worthy of it. Lively, confident, bold and spontaneous, Aries women believe in taking the challenges head on and living life to the fullest. These modern and self-reliant ladies are often an inspiration to other women. 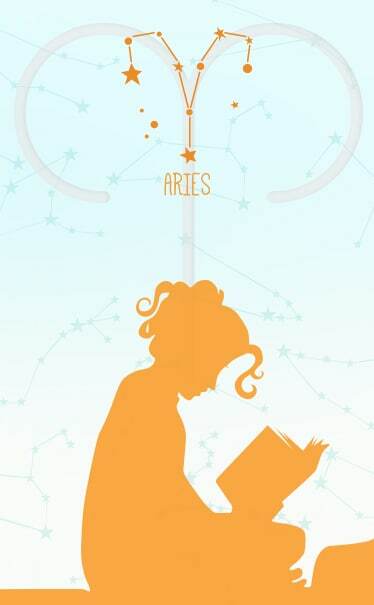 In order to understand them better, let’s quickly go through their basic characteristics, which will give you an idea about the personality of the Aries women. The Aries women will be in touch with their inner selves even though they might be emotionally, financially or any other way dependent on someone. Intelligent, dramatic and extremely independent, the Aries women are a strong and no-nonsense lot, and would like to be bossed around. On the plus side, these positive women will try to do their best to get what they want, but on the negative, they will frown and sulk if they are ignored or things don’t turn out as per their expectations. Aries lose interest very easily, which may hamper their career growth. Thus, no one begins like an Aries, but when it comes to maintaining the tempo till the end, many an Aries fail. Often where angels fear to tread, these high-spirited, energetic and optimistic individuals are willing to start. They take on difficult projects and challenges with an adept enthusiasm. 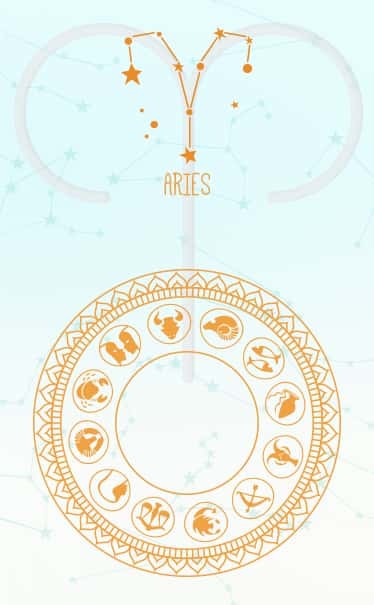 In fact, since Aries have a tendency to keep experimenting, which may lead them to get into wrong places, they should figure out what’s best for them right in the beginning. Astrology services like Career Prospects Report Or Career Strengths Reading. Or even the Job OR Business Reading, if they feel confused. Affectionate Aries individuals are known to pamper their love ones and beloved to the degree of being excessive. Although many Aries don’t seem romantic initially, they will profess undying love for their beloved – a promise they are most likely to keep, provided their beloved keeps the Aries fire going. 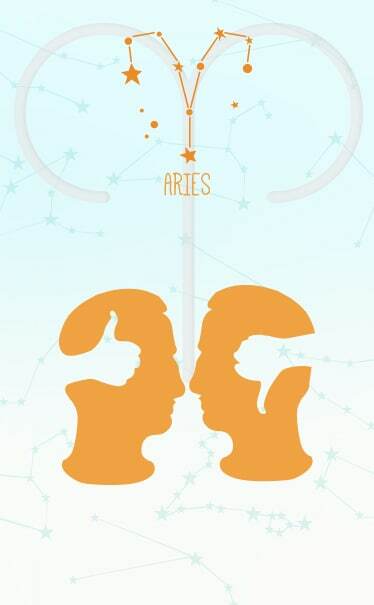 Aries make caring partners, but at times they might expect too much from their life partner. This will be more so in the case of Aries men than the Aries women who tend to settle down more easily. 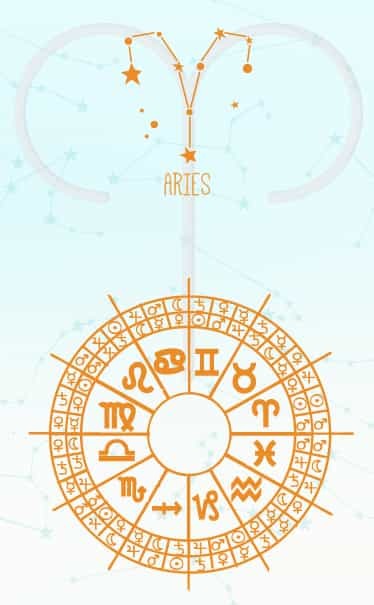 Aries Compatibility with other Signs is quite interesting, but the pairs – Aries – Aries, Aries- Leo , Aries – Aquarius, Aries – Scorpio are the most compatible of them all. The guileless and usually ‘a child at heart’, Aries natives, however, are extremely dejected and disappointed, when their love is not reciprocated in the equal measure. They try to be understanding and appreciative of their beloved, but only till the time they receive and see the requisite attention and love (or the hope of it) in return. Get a Couple Analysis done to know how compatible you and your beloved are with each other. In relationships, it is often found that the Aries mate is a loving and loyal one. 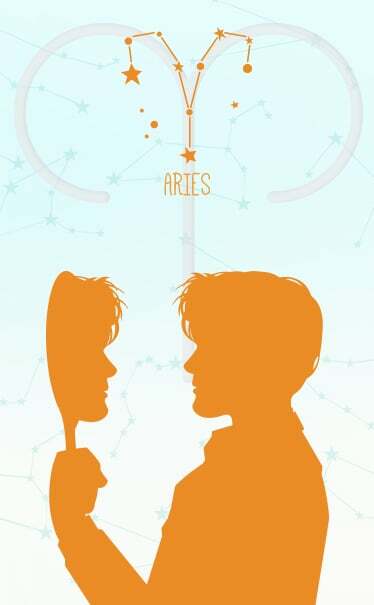 When the Aries falls in love, he/she will not wait, and would rather straight away go and express his/ her feelings, without even giving this a considerable thought. The loving nature of the Ram inspires and flatters others, but it is their impatience and impulsiveness, which also puts off other people. As for the Aries – they don’t like waiting for things. The Aries also tend to react in a physical way to everything, which may, at times, make them seem overbearing and dominating. The good thing is, however, that the frustration and anger are quickly forgotten, and the Aries becomes that lovable child yet again. The Aries, in fact, have an emotional and passionate nature, owing to which they are liable to make strong reactions, but they hardly mean wrong. The Zodiac Sign Aries is found to be compatible with the Signs Sagittarius, Leo, Aquarius and Gemini (Leo is the best suited among others, as a partner for Aries). 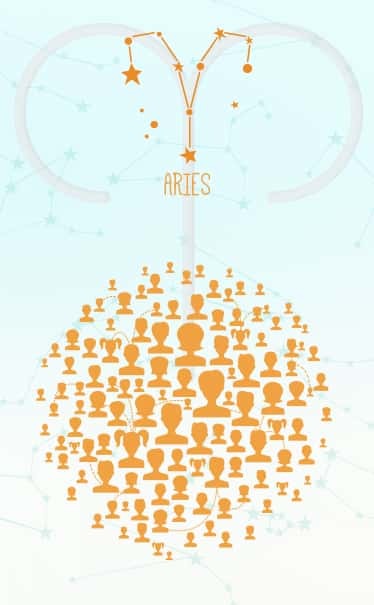 Charismatic, courageous and friendly that they are, the Aries can become extraordinary leaders, provided they learn to be diplomatic and patient. After all, it takes a lot of focus to to be a great leader. In fact, since Aries have a tendency to keep experimenting, which may lead them to get into wrong places, they should figure out what’s best for them right in the beginning. Active, fiery Aries also have a tendency to bite off more than they can chew. Before taking something apart, they don’t stop to wonder if they can put it back together. Besides, they constantly require others to motivate them to get going and do their best, and when they don’t get it, they blame others for not being supportive and encouraging. But the fact is, it is an excuse for their own idleness and unwillingness to find a driving force. Skull and face; muscles used in eating, smiling, talking and other facial expressions, deep muscles in the mouth and other muscles in the head; temporal and internal carotids, and cephalic vein.